Managing Director, Siguler Guff & Company L.P.
GUFF: Well, welcome to our second panel of the day at our Russia symposium. I’m Drew Guff, and I’d like to introduce our next three panelists. Our session is we’ll be discussing “Russia Today,” and I presume that that means we’re not talking about the television channel. (Laughter.) We’ll be talking about current trends in Russia today: demographic, political, economic, and military. To my left is Heidi Crebo-Rediker. She’s the adjunct senior fellow here at the Council. Keir Giles is the associate fellow at Chatham House covering Russia and Eurasia. And Kathryn Stoner, who is a senior fellow at the Freeman Spogli Institute at Stanford. I guess I’d like to start off by maybe asking—we’re going to talk—our last panel covered the span of the last 25 years, and we’re going to bring up to date some topics, but covering a few different disciplines. So I guess I’d like each of our panelists to talk about the areas that they’ve covered and they think are relevant to trying to understand what we’re witnessing in Russia today. And so maybe I’d ask Kathryn to lead off. STONER: Sure. So thanks very much for having me at the Council. It’s good for people on the West Coast to be able to come east every once in a while and hear what you’re all thinking, as well, on Russia. So I’m going to hit some big themes and talk a little bit about some of the contradictions we see in Russia. So the first thing I’ll start with is adjectives; and that is, how people describe Russia or have described Russia in the last 15 years in particular. So here we go: managed democracy, paternalistic patronage state, kleptocracy, informational autocracy, conservative populist autocracy, illiberal democracy, a petro-state, personalistic autocracy, and a dictatorship. But it’s never an outright democracy, and it’s certainly not a totalitarian dictatorship in anybody’s view. It is a weak great power. But, as Dmitri Trenin said last night, not a great country. I would actually disagree with him on that. I think Russia is a great country in many ways, and obviously a great culture, and it affects so many other countries. It shares with China the greatest number of borders in the world. It’s, of course, geographically the largest country in the world. Twenty-five years after the collapse of the Soviet Union is where we are now, and the beginning Yeltsin’s reforms, as of 2017. So, 25 years ago, Russia was going through hyperinflation. It was recovering from the worst manmade recession outside of wartime. Twenty-five years later, what are we talking about in terms of U.S. foreign policy and perhaps the biggest threat to the United States and its democracy? Russia. And I would—I would invite anyone in the room who predicted that to raise their hands. And be honest; I don’t think many of us would have. As I was mentioning to my colleagues, Russia 25 years ago was receiving, of course, food aid from USAID. As a graduate student at the time in Moscow, I personally benefited by buying some of the chicken for sale on the street. And, again, Russia has come—I want to emphasize—a very, very long way in a very short period of time. That said, it is a country of contradictions, and analyzing it is increasingly challenging. Yesterday, China evidently became our friend. (Laughter.) Over cake. And that was a week ago, I suppose, the cake. And Russia, backing Assad, has become our enemy. It has hacked our elections. And, as Dmitri Trenin pointed out last night, the remarkable thing about the hacking is not the hacking itself—that’s essentially espionage, and it’s been going on for a while, and of course we do that too—it’s how the information was used, and presumably leaked to WikiLeaks—at least that’s the theory—to try to at least damage one of the candidates, if not necessarily benefit the other. It is backing a rogue regime in Syria and trying to destabilize liberal democracies in Western Europe, funding right-wing parties. I was in Moscow two weeks ago and watched Mr. Putin interview presidential candidates for France when Marine Le Pen visited. So, again, Russia has come a very long way in 25 years, and it is firmly back in our radar—on our radar. Contradictions. It is a resurgent power. It is a declining great power. Which is it? I think it’s both, in some areas resurgent and in some areas clearly in decline. The economy is unreformed and needs further modernization, and is clearly in recession, although approaching now zero growth, probably by the end of 2017. It is not an economic challenger to the United States or China or the European Union—or even, frankly, the state of California. I have to mention that because I am from California and there is clearly this California exit-Russia link. (Laughter.) It has just slightly less than 3 percent global GDP and is now the 13th-largest economy in the world. It is not an imitation economy like China’s, or an innovation economy like Korea’s or the United States. The state has far too large a presence in the economy, now by some estimates—including that of the World Bank’s—up to about 60 percent presence in the economy. It has done a very nice job of getting rid of petty corruption. So those of us who remember driving from Sheremetyevo Airport in a car and being pulled over by a traffic policeman and random—and having our driver randomly fined for some unknown offense, including—I had this experience—an environmental infraction in the car I was in, this is ended. But there is still grand corruption, and we saw reactions to that on the streets on March 26th of this year. Its military is reforming, and by some accounts has reformed remarkably since 2008 and the rather disastrous presentation of military forces in Georgia—a war it won, but barely, against a weak Georgian army. And I know that our own military members of whom I’m spoken with—members of which I’ve spoken with have been very impressed with how quickly Russia was able to mobilize significant forces in Syria and reestablish a base, for example, and of course use hybrid means in seizing Ukraine. It is not, however, a challenge to China, or the United States, or, of course, NATO in any area except in nuclear weapons, and that’s not insignificant. Russia remains the only country in the world that we think—not sure about North Korea—but we think can deliver an ICBM to a major American city in under 20 minutes. And the Russians are very, very aware of that, and they appear under Mr. Putin now willing to use nuclear weapons in a tactical way. That said, the poverty rate has increased. After 10 years of decreasing, it has increased over the last two or three years. Inflation is under control, partly because Russia has a very, very good central banker in Nabiullina, and she’s been left alone pretty much to pursue relatively good macroeconomic policy. The ruble, of course, lost a tremendous amount of value in the last three to four years, but has more or less stabilized. The sanctions that the U.S. and the European Union have imposed are significant, but not crippling. One estimate is that they have taken one-third of 1 percent of Russian GDP per capita in the last year or so. I don’t know how the World Bank or others come up with such estimates, since I think it’s probably close to impossible to actually estimate the effect. But if you can’t exactly pinpoint an economic effect, I think you can pinpoint inconveniences and symbolic effects of the sanctions. It does hurt the economy in not being able to clear international financial transactions. It does impinge on the travel of people like Igor Sechin and their families, and their ability to educate their children abroad. There’s lots of faith in import-substitution industrialization, but we know that this has not actually helped in other circumstances. So there is no developmental state here, and I would argue that there is perhaps no interest in having a serious developmental state, because if you believe modernization theory a la Seymour Martin Lipset that the more developed a country becomes economically, the more people want to mobilize, then that’s not in the interest of Mr. Putin and the people around him. Mobilization means instability. And I think as one of our panelists said this morning or perhaps last night, the overwhelming interest of the current leadership is in stability of the current system. So the mobilization of 2011 and 2012, and then this most recent mobilization that I know Keir is going to talk more about, in 2017 came as a shock and a disappointment to Mr. Putin. GUFF: Let me stop you right there. You hit a point that I’d like Keir to talk about that was mentioned last night, the Navalny protest and generational change, and how it’s different now versus 2011. Can you—can you address that? GILES: Certainly, yes. Morning, ladies and gentlemen. Great pleasure to be here. Kathryn’s just given us some excellent overview of Russia of contradictions, and why in order to understand the place you do need to have this ability to have two completely incompatible views at the same time. Let me just hark back to the previous panel before answering your question directly. Back at the very end of the Soviet Union, back at the very end of the Soviet Union, at the beginning of independent Russia, my former employer, the Royal Military Academy at Sandhurst, Soviet Studies Research Center, received a visit from a group of Russian generals. And they were asked a question: What is it that we can do to help Russia at this point? Remember, Russia at this point was probably at the nadir of its morale and its prestige and its domestic competence as well. And the response was there were two things that we need the West, with your help, to do. One is to give Russia the respect that it needs as a great power; the second is to send us food aid so that we can feed our people. And this was said with apparently no recognition whatsoever of the contradiction between those two terms, and that I think is the fundamental point that we need to bear in mind when listening to the discussion this morning that we’ve had about the basic incompatibilities of worldview between Russia and the West, and why those will stymy the relationship for some time to come. But coming back to the specific point, the instability, the protests at the end of March gave me cause to fundamentally reevaluate some of the longstanding assessments that I had had about prospects for social change and potentially even, dare we say it, democracy without adjectives in Russia. Yes, I think a lot of the people who’ve looked at this in detail agree that this is not a Navalny campaign. It is financed, it is encouraged, it is facilitated by information coming from the authorities. Whether or not it is to specifically discredit Medvedev or simply to use him as a lightning conductor to channel public discontentment away from the regime without necessarily moving him out of the leadership group, is an open question. The technical Russian disinformation term for Medvedev’s role in this—and I apologize to the Russian speakers in this room—is now govnatvot (ph), a lightning conductor—just in slightly more colorful terms in Russia. However, I think when these protests were organized, the response took the authorities completely by surprise because there was an unforeseen element, which was the attitudes of the very young generation. Up until that point, my assessment had been pessimistic of the chances for social change because the new generations that were always heralded as possibly being the new thinkers in Russian society, as I saw it, had little prospect of being able to have a Western-leaning liberal outlook for two primary reasons. First of all, they were sufficiently inculcated with the doctrine of the glory of the Soviet Union and the need for Russian national prestige, but without any direct memory of how grim and unpleasant life in the Soviet Union actually was to balance against that Russian national idea; and second, because the very effective information security measures that Russia had taken to ensure that its domestic narratives prevails within the country, and are not interfered with by reality intruding from outside, had effectively created a Cold War-lite information bubble around them. If you receive your information from television, from mainstream media within Russia, then you do not have any points of comparison. You might think you’re receiving foreign media through the inoSMI foreign media translation service, but it is skewed and distorted and selectively presented so that it reinforces the state narrative. However, now we have a very young generation that has emerged which appears to me to be expressing views which are fundamentally different because those two factors don’t apply. Not only do they not have any memory of the Soviet Union. They don’t have any memory of life without Putin in charge. And their methods of receiving information are not the ones which are controlled by Russian information security measures, which let’s not forget are basically old-style Soviet principles which they have attempted to plaster over the internet. If they are watching YouTube rather than television, if they are getting all of their information through—(phrase in Russian)—for a slightly older generation, rather than from the newspapers, then those measures that have been put in place to insulate them from unapproved opinions do not have an effect. What I found very instructive and enlightening was looking at by now the quite large collection of videos that are available of Russian college lecturers and school teachers remonstrating with their students and their schoolchildren for going on or supporting the Navalny rallies and for being sympathetic to this campaign—not just because of the headlines that came out of that, which was the authoritarian views of the teachers—you should be respectful of authority; this is a destabilizing influence—but more because of the tone that came through at the end—the last resort of the adults, if you like, the last result of the older generation when all of the other arguments were stripped away was to appeal to their young charges, saying do not get involved in this, you do not know how much trouble you can get into. It’s an indication that this very, very young generation is one which has grown up without a memory or an experience or a fear of mass repressions on political grounds. Now that the Russian state does not arbitrarily lock up large numbers of people for expressing relatively innocent opinions, they do not have this direct experience, and they are having to be reminded by an older generation that has have this folk memory of fundamental shift, finally, in how Russia looks because, as far as I can tell, this is the first time in Russian history that this has happened. GUFF: Thank you. Thank you. Heidi, why don’t we move over to some thoughts about the Russian economy and where are we now in the post-sanction—in the post-sanction Russian economy? CREBO-REDIKER: So I’ll pick up on a little bit more detail of what you—what you very eloquently let off with this morning. The Russian economy’s actually beginning to turn the corner right now, largely on the back of the fact that we’ve had partial recovery in commodity prices, and particularly oil and gas, and because it has a flexible exchange rate now, which has given it a lot more room to maneuver since 2004. I will very much underscore the importance of the talented central bank governor and her staff getting the Russian economy to weather this storm of low growth and recession, commodity and price implosion and sanctions. It has been the central bank. But we also have seen—we’re seeing that there’s a pickup—a potential for a pickup in growth this year out of recession. I think the estimates are sort of in the 1 (percent) to 1 ½ percent range, broadly, that we’ll see growth coming from Russia this year. Inflation, which has been very sorely felt by much of the population, has come down from about 15 to 16 percent in 2015 to where the central bank is targeting it right now, which is about—it came in last month at about 4.3 percent. So this is a really dramatic drop in inflation that we’re seeing coming from the official statistics out of the central bank. The bank, particularly for growth, is not encouraging. I think you really—you know, you have an economy that is—it’s stagnating. Now, you might say that the global economy has been going through the period of mediocre growth and that this is—you know, this might not be an aberration, but I think that there are some very specific issues to do with the way that Russia manages its economy that makes me fairly pessimistic about the medium- to long-term run. They have built up their reserves. They have about 400 billion in reserves right now, so they are creating—they have created a buffer. They have seen a downturn in capital outflows. They had about 150 billion (dollars) in capital outflows in 2014. It’s down to about 15 billion right now. And, you know, the—so there are some positive stories to be told, but the culmination of inflation and the fact that incomes are down so significantly is—there’s a great deal of pain that’s being felt in the Russian population writ large. So, you know, the most recent S&P estimate of what GDP per capita would look like in 2020 is about 30 percent lower than it was in 2013. So you’ve seen—you’re seeing a drop that is tough to actually, absent some significant reforms to the economy, turn around. The Russian economy is so very linked to commodities, and this sort of goes to a larger question about, you know, the fact that they have failed over the past 25 years to really diversify. When I was working there in—you know, for most of the 1990s, diversifying the economy was a very, you know, large objective, to try and get it away from such huge dependency on oil and gas. So oil is still 50 percent of the budget. It’s about 70—oil and gas are about 70 percent of exports right now. That’s what the picture looked like—looks like now. In 2004, it was roughly the same. You have, you know, 70—you know, 70 (percent) to 75 percent reliance on raw materials for export, and the only real difference that we’ve seen is a very slight increase, 1 percent of exports in technology and technology-related. So there hasn’t been much change, and that is where the vulnerability is. A 10-percent decrease in oil prices will lead to about a 1 percent hit to GDP, so it’s highly correlated. That’s a very significant vulnerability. And unfortunately, they don’t seem to be taking advantage of the fact that the ruble has depreciated so much that they could look at investing in new forms of export that could diversify and really take advantage of a lower—a lower ruble right now. You mentioned import substitution. That’s happened a little bit in agriculture and in food, but, you know, the trick to that is you have to—you know, if you’re going to be forcing import substitutions, so you’re creating your own mozzarella, you better be sure that when that—you know, when you don’t have restrictions on mozzarella coming in any more, that you’ve actually done a pretty good job, because anyone who wants to buy Russian mozzarella, you know, I wish you luck. (Laughter.) So you have to—you have to be able to reach the quality of your domestic production to actually, you know, make it a viable economic concern moving forward. So I’ll leave it at that. I think, you know, we’ll talk more about the impact of sanctions later on, but I think there’s some significant challenges that the economy faces. It is not innovating. It is very—you know, very much state-led. The ability of the leadership to actually loosen those levers of power, I think, is next to nil. And so I don’t—I’m not too optimistic that we’re going to see some significant change or breakout in the Russian economy. GUFF: OK, thanks. Thanks, Heidi. Before we open it up to questions to our members, I’d just like to ask a few questions down the line. And, Keir, you talked about this new generation that appeared out in the most recent protests, no memory of the Soviet Union, no memory of life without Putin. They get their news from different sources, different means. And unlike China, Russia’s been relatively open. There’s no great firewall in terms of accessing global information on the internet. What do you think that means for internet freedoms going forward? GILES: It’s true there’s no great firewall of Russia, but there are a number of soft filters instead. They recognize the problem of unfiltered access by the population to the internet as a challenge to Soviet and then Russian ideas of information security. But at the same time, for so long there was a consistent argument that actually freedom of expression and free movement of information is a good thing, especially because the internet security—sorry, the internet service providers and the telecommunications providers, which for so long were winning the argument with the security services about how the internet works, said this is a fundamental requirement for everything else you want to do with the internet, that we now have a situation where they would not be able to put that hard filter in place without effectively disconnecting from the internet altogether. But what then are the ways in which they can modulate or attenuate the information that is reaching nonforeign language speakers across the internet, and the older generations in particular? I mentioned inoSMI, the foreign media filter. Another one is of course Sorm, the system which monitors internet usage in Russia. When people are thinking in terms of external broadcasting, reaching the Russian population, talking to them, finding new ways of actually communicating directly, now that Western powers have dismantled all of their shortwave broadcasting facilities and people don’t have a shortwave radio in the kitchen, so we need to find something new. There’s a fundamentally different situation. If during the Soviet Union you wanted to access news from abroad, you could do so, quietly, subtly, in your kitchen without anybody being aware of it. Now if you want to do the same thing, it is impossible without the authorities being aware of it because of the automatic capturing and recording of everybody’s activities on the internet. This has to have a chilling effect. It’s just one of the different layers of walling off the Russian generation from the outside world. But again, it is one which does not have any effect if you do not have any fear of reprisals for what you are doing, and that, I think, is a fundamental difference. GUFF: Kathryn, has Vladimir Putin de-institutionalized Russia? Which institutions are stronger today, which are weaker? And how would you handicap this next term, which when Putin is reelected in 2018, being his last term? STONER: OK, good questions. So, yeah, I think the short answer is, yes, there’s been de-institutionalization. United Russia is a party that wouldn’t survive without Putin. It wouldn’t be electorally successful without Putin. It’s essentially a shell, has no ideology really, has no programs that the central government conveys through the party down to local governments. So it doesn’t really perform as a political party does, not even, obviously, as the communist party did. So, obviously, the Duma is pretty firmly under the control of United Russia and, therefore, pretty beholden to Mr. Putin. The three opposition parties in the Duma are not really oppositional at all. And if they were, they’re so small, relatively speaking, that there’s not much that they could actually stop or change. So I think those institutions have been hollowed out. When we look into the presidential administration, that’s obviously the most powerful institution, I think, in Russia today. But even there, I don’t think that these structures would necessarily survive Mr. Putin, so that is both a strength in terms of his dexterity and making decisions. I think that’s one reason why decision-making was so quick on Crimea, and impulsive some might say on Crimea, and on Syria, is that there isn’t an institutional check there. I mean, if we were back in the Soviet period in the Politburo, I don’t think you would have seen such a fast and impulsive move, and the person who did this after all, Khrushchev, was removed. So there, I think, there was a default to discussion and essentially to do nothing unless it was collectively agreed upon. There’s no one saying, no, Vladi, we can’t do this or we shouldn’t do this. Most importantly, it’s more, OK, how do we do this? So I think the strongest institution, as Heidi said and I intimated earlier, is probably the central bank right now. There is also a little bit of independence further down in the judiciary, but not in the supreme court, constitutional court, arbitrage courts. GUFF: Heidi, you were in government when the sanctions were instituted. And would we—has the West underestimated the impact of sanctions? Or does the public at large not really understand the structure of the sanctions and to what effect they were supposed to either cripple the economy or affect parts of the Russian economy, rather than try to bring Russia economically to a much lower state? CREBO-REDIKER: So the objective was never to cripple the Russian economy. And I think the U.S. went way out of its way to make that point clear. The sanctions were, you know, initially targeted at individuals, individuals who were associated with the annexation of Crimea. They were associated closely with Putin. It was, sort of, it was targeted at individuals initially to make sure that it had as little impact on ordinary Russians as possible. They then escalated over the course of the conflict with Ukraine and then most recently in retaliation for the interference in the election in December of last year. But, you know, they were individuals, sectors, and then specifically access to markets and certain types of technology. And the level of, you know, the level of escalation that was done both with the U.S. and the EU in lockstep, I do think it achieved the objective of changing behavior, which was one of the key objectives vis-à-vis Ukraine, and it did have a chilling effect on Russia’s ability to borrow in international capital markets for a variety of reasons, but it was never the full scale and I think that’s really important, when people look at sanctions and the way that they did or didn’t impact the Russian economy. And it’s murky territory because you had a commodity, you know, coming out of a super cycle, a commodity downturn at the same time as the sanctions implementation. And the Russian economy was already, you know, going from 7 percent in the early 2000s to down to kind of 1 1/2 percent before sanctions, before the commodity drop. So you had a confluence that actually had an impact on Russia’s economy. They did not go for, you know, the all-out option of sanctions on SWIFT transactions, on derivatives, on secondary market assets, on, you know, a lot of different places that sanctions could have gone. But they did, I think, have a deterring effect because it was clear that there was a next step that could be taken. And I think, you know, from what I have read, you know, it’s somewhere between 1 1/2 to 2 percent of GDP that was the estimate versus sort of 4 to 5 percent from commodity prices. But I think at the end of the day, it’s a really important tool that the U.S. government has when coordinated tightly in a multilateral fashion. And the example that was set about how concerned both Europe and the U.S. was about the annexation of Crimea, what was going in Donbass, was a very united front and it sent an important signal. I think Jim Hoge holds priority in case he wants to—if you want to use the—you can use that pass for the rest of the day, I think. So we’ll pass it on. Q: My name is Lucy Komisar. I’m an investigative journalist, and I never write anything controversial without having very strong documentary evidence. Now, both Heidi and Kathryn referred once—Heidi said “interference” in the U.S. election and Kathryn said “hacking” the U.S. election. Could you please tell me what documentary evidence you have for those assertions? And do not include statements by officials who themselves do not provide documentary evidence. STONER: Well, I believe our intelligence agencies. I’m sorry, but I do. I think they can be wrong on some things, but rarely do you see 16 intelligence agencies converge on a single thing. Could still be wrong, but, yeah. And then there’s also, I mean, I think the Russians, the fact that they arrested two people, so it’s circumstantial, but, you know, I think it’s also Julian Assange’s—I mean, I don’t think it’s by chance that this gets to WikiLeaks when he has a show on “Russia Today.” So there’s a lot of circumstantial evidence that points in that direction. I think, you know, it depends on what your standard is in terms of, well, documented. So I don’t think any of us have seen the classified information. And people who have seen the classified information, you know, I think, again, it’s your perspective on the intelligence agencies, but there’s some very smart people who did see it, who I know very well, and who believe it. So, you know, I think the circumstantial evidence is pretty compelling. GUFF: Keir, I think you wanted a word on this. GILES: Yeah, certainly. Viewed from the outside, it was a mistake by the U.S. intelligence community to release a declassified version of the report which identified what had happened, because by necessity, all of the actual documentary evidence that you’re asking for is in the classified domain because that is how these things work. So putting out a version which actually didn’t contain anything interesting whatsoever really harmed the cause of those who were trying to explain what had happened and I think was counterproductive, especially because it can now be waved in the air as something which says there’s no proof whatsoever. It causes people to fall back on the argument that Kathryn has just made. Well, we know the folks who know and we trust them, so it must be true, which doesn’t really answer your question. But what I would suggest, if you are looking for documentary support to bolster the case that has been made without actually providing the smoking gun, I’d refer you to a publication from NATO that came out at the end of last year called the “NATO Handbook of Russian Information Warfare” which is a nice compilation of what Russian senior leaders, military leaders, political officials, and so on, say they want to do using information warfare, including exactly what we’ve just seen in this last U.S. election. CREBO-REDIKER: So since you asked the question to me as well, I will say, you know, not to be—getting 16 agencies to agree on anything is—(laughter)—but actually, I really do, I believe that the intelligence agencies would not have put this forward in the way that they did if there were not a significant concern about this. Q: Hi. I’m Kimberly Marten from Barnard College at Columbia University. I have a question, but first just a response to Lucy. CrowdStrike, the independent, private firm that the DNC hired to look into the hacking, has on their website a quite detailed, sort of blow-by-blow description of how they determined that the Russian military intelligence agency, as well as the FSB, the follow-on force for the KGB, why they believe that they were there. They go sort of code-by-code of why think that and why they think that nobody is spoofing them. And so if you have any concerns about that, that’s what is to answer. But I have a question for the panelists and especially for both for Keir and for Heidi. So if the economy doesn’t look like it’s going to improve anytime soon, that’s sort of one blow to Putin being able to keep up his power. And if you’re dealing, Keir, with a generation that doesn’t understand repression, that implies that it’s going to take an awful lot of resources to have repression be what keeps the power up. And so if we agree, as Kathryn said, that, you know, Putin wants to stay in power above all else and he’s running this very de-institutionalized country, does that mean that his only choice is to be aggressive internationally, to cause an enemy to rise up against him so that he has an excuse to stay in power? Or is there some other way that we can imagine Putin taking a strategy forward? CREBO-REDIKER: So just on the question about whether an economic downturn is going to turn into something that will manifest politically, I mean, anyone who’s spent time in Russia knows that there is tremendous resilience there and it’s very hard to sort of, you know, make a guess at whether there is a point that, you know, that it becomes too difficult for people and that that does manifest in a political objection. If oil prices are, you know, going to remain in the area where they are right now, that is good, you know, good for the Russian economy. And I think that, you know, it’s—ahead of an election, there’s going to be, you know, a lot of room to maneuver. Longer term, whether you have an economy that can actually adjust and take advantage of the wealth and talent of its people, become innovative, technologically advanced, more liberalized, I just don’t see that happening, so it’s more of a longer-term concern. GILES: I think that once again we’ve got that familiar Russian mix of the completely predictable and the entirely unpredictable. Heidi, of course, is right, the resilience of Russian society to its standards of living falling while they see expenditures on defense and security rising is much greater than in any Western liberal democracy. I’m not convinced of the argument that Putin needs a foreign adventure simply in order to divert domestic attention. I think there are sufficient other drivers for all of the responses to perceived security challenges that we’ve seen over the last few years that that’s probably not a primary concern. The problem is where the unpredictability comes in. So, as Heidi said, you can’t tell when enough is enough for Russian society and there is some kind of popular discontent manifested, especially now, if my idea is right, that this new generation is going to behave entirely differently. What’s even more worrying is that Russian leaderships also have been historically very, very bad at telling when that tipping point is. So twice during the 20th century—but possibly even three times if you count 1905, but that’s debatable—you have had expenditure on defense at the cost of social spending being a primary contributing factor to state collapse in Russia; 1904 Russo-Japanese war possibly causing a 1905 similar event, if you follow that argument. I think President Putin is fully aware that this is a danger. He’s said so on multiple occasions. He’s said we must not repeat the mistakes of the Soviet Union in effectively spending ourselves into the grave on military expenditure. However, there are not that many signs of military spending being reined in in order to accommodate that. Certainly, the predictions of imminent collapse that we’ve heard from optimists fairly persistently, saying this is not sustainable, something has to give, have not been borne out, partly because of the resiliency of the economy that Heidi’s been describing; partly because of now easing of defense expenditure as a relatively natural part of the process now that the expensive bit of reorganization and rearmament has been completed. But we don’t know, and nobody can know, just at what point that is going to change and popular discontent will manifest itself in a way which is challenging to the leadership. But the leadership is prepared for it. After having been shaken by the protests in 2011-2012, we see an intensification of repressive measures, not only the sudden victory of the security services over commercial providers in online space that I referred to earlier, but also a setting up of the national guard, the bringing together of a number of different security agencies in a manner which will enable them to be the violent repressor of public protest in a way that we have not seen in a long time in Russia. I think it is a concern of the leadership at present, and they are making sure that they are prepared for prevailing against popular dissent. Could you say a few words about current Russian policy with regard to foreign NGOs and their activities in Russia, please? So it’s interesting. I was just there two weeks ago and visited some of the foreign NGOs. And this registration requirement—so, first of all, foreign NGOs—I don’t know if Dmitri is still in the room. No. OK, so think about Carnegie for a moment. Is anyone from Carnegie here, actually? OK, so, I mean, they survived quite nicely because they are foreign NGOs and so are not—they’re already foreign agents. So that—they’re in a different category. Russian NGOs that receive money from abroad are—I mean, both groups are vulnerable, but that group is particularly vulnerable. But, you know, some of them are still managing to putter along. It isn’t easy. The reporting requirements are quite onerous and expensive. But, you know, Memorial is still surviving and Levada is still surviving, but they don’t take—Levada, for example, does not take money from abroad anymore. So, obviously, that constrains what they can do, because they’re short of funds and always looking around for funds, and then ultimately becoming dependent on grants from the Russian government when they’re available. So that’s a worrisome development. I think that links to the question I was going to answer, which is—here we can mix it up a little bit. I’m going to disagree with Keir about the legitimacy of the regime and, you know, how much public opinion matters. I think it matters a lot when you look at March of 2014, right before the seizure of Crimea, right, you know, after a relatively successful international event where Russia’s in the spotlight, the Sochi Olympics. Putin invested a lot personally in the Sochi Olympics, with a ton of spending. It was an opportunity to present a modern Russia. And yet his approval rating is 60 percent, even after that. He seizes Crimea, reunifies Crimea with Russia, and his popular opinion—popular approval right after that jumps up to about 85 percent. And it’s more or less stayed there. So, I mean, I think it’s wrong to think it doesn’t play any role. Once you would see that, any leader would say, oh, OK, well, that’s helpful. Even though he may not have gone in for that reason alone, I think it does play a role. Now, this regime is very—it’s obsessive almost about collecting data on public opinion. It doesn’t always react to it appropriately. Sometimes it’s a little tone-deaf. But I’d say it’s quite obsessive about it. So it’s not—I think its behavior abroad is not all driven by public opinion and legitimacy. But, you know, the jump in approval ratings is real. And so the question is why. And he would be a fool—and I don’t think Mr. Putin is a fool—to ignore that. I don’t think the choice, Kim, is binomial. I don’t think it is either repression inside or aggressive foreign policy. It can be both, of course. And so we’re starting to see, as Keir noted, some elements in new institutions, repressive capabilities developed like this national guard, which we think came out on the streets on March 26th. There was certainly a Twitter rumor that they were out there. I didn’t see them in particular, but I can’t always tell whose uniform is which, I will confess, when I was there. Right. So I guess I can stop at that. I think, in terms of vulnerabilities, there’s a huge vulnerability in terms of society. So one thing I had wanted to say earlier was that I don’t think NATO is going to bring down Russia or this regime. I think the Russian people are going to bring down this regime, ultimately, one way or the other. And, you know, Dmitri Trenin pointed out that there have been two big revolutions in Russia in the 20th century. So, you know, I think that is probably what Mr. Putin fears the most, and so that’s why you’re seeing these new repressive institutions pop up, including a bill that just passed, first reading, going through the Duma, allowing police officers to shoot into crowds. I think that’s in preparation for the 2018 presidential election to keep people off the streets, in reaction probably to March 26th. Demographics isn’t everything, but it’s certainly important. Russia is noteworthy because of the declining life expectancy. But there are other issues too—changing population profiles; ethnic, religious. How important is the demographic situation in Russia today to the questions you’re dealing with? GUFF: Well, we said it would be a tossup who wanted to talk about demographics. STONER: Yeah, I can. Whatever. OK, so, I mean, if you think of—I happen to be writing a book right now that looks at, you know, if Russia’s not so powerful, why are we talking so much about Russia? So if you look at three kind of realist measures of state power, one would be, you know, military power, economic power, and the third would be, you know, human power, right, or human resources. So demographics obviously—it doesn’t look good for Russia. And frankly, neither do the other two measures. Yet here we are. So demography is a huge problem, yes. The population is getting older. And although education levels are high, it’s—there’s a mismatch if you look at—you know, the World Bank just put out this country report in December of 2016, and they have a really nice set of graphs about how there’s a mismatch between what education is and what skills are needed, just as there is, frankly, in the United States, I think. So, demography, a tremendous challenge. People are not having enough babies, but they’re having more than they did 10 or 15 years ago. Obviously male life expectancy in particular is the problem. It’s gotten better, but the mortality rate, which is actually the rate of death—life expectancy is just an estimate from 15 years onward. You know, what would a Russian 15-year-old—how long are they projected to live? And the projection is 64, 65. Mr. Putin, notably, 65 years old, so he’s about to outlive the average, which is not surprising, given how much he works out, purportedly two to three hours a day. So, obviously, a tremendous problem. The other problem for the economy is that it—people are sicker longer. So Russians—I have a project on the anti-tobacco policy right now, which is fascinating, because Russia has had a—they’ve had basically a Soviet-style blitzkrieg. Nobody smokes anywhere. We can’t shoot you, but we’ll fine you. And if you’ve been to Russia recently, it’s a pleasure going into a restaurant or a café in a way that it was not, and you felt like you were coming out of a casino five years ago. You can go and have a cup of coffee and not reek of smoke. GUFF: Can immigration offset population decline? STONER: Do you want to take that one? That is what has been offsetting the population decline more recently. The figures appear to be improving for demography, but the headline figures are misleading. The fundamental problem is going to—of this demographic black hole—and this wasn’t a trend; this wasn’t a blip. This was absolutely biblical. A huge chunk out of Russian demography, birthrates falling by 50 percent, no less than 50 percent, after the end of the Soviet Union, is starting to feed through now into the workforce, the conscripted population, as Kathryn described. But it is so huge that it will make Russia a very, very different place in 20 to 30 years from now. And that’s politically, economically, socially, possibly even geographically, especially if we factor in the immigration factor. You mentioned falling life expectancy. Actually, it has started rising again now. But again, the figure is misleading. The life expectancy of a newborn Russian is much better than the life expectancy of the 15-year-old male. To put the figures in context, the figures from two years ago from the World Health Organization placed life expectancy of a 15-year-old male in Russia between Uganda and Burundi. So things are improving, but they’re still absolutely dire and absolutely diabolical. And it’s reflected in the language. Once upon a time we used to hear about Russians saying—talking about having children, say they would have deti, children, plural. Now, if you have the same conversation, Russian families will say to you they will have rebyonok, a child. If you have a one-child family throughout the Russian Slavic population, that is not meeting the replacement rate. That means the population is going to decline inevitably, and very rapidly. Immigration, supplanting it, again, changes fundamentally the nature of the society, especially when combined with the much greater birthrates in the southern republics. 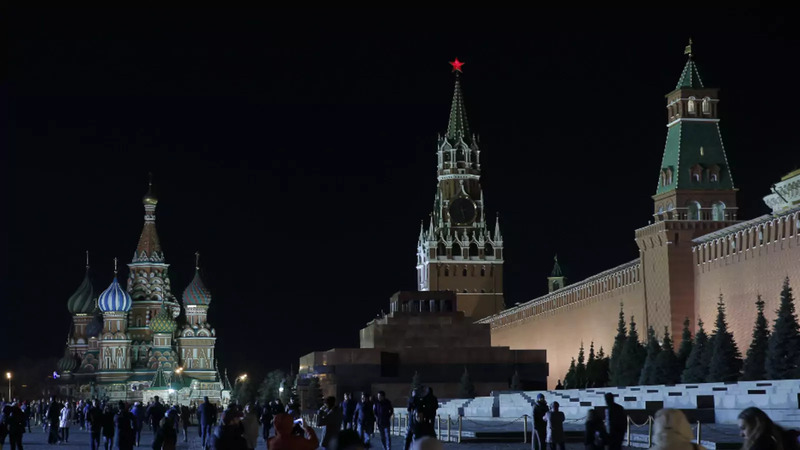 Put it all together and you have a situation where you can see through the strategic-planning documents that Russia has been in a state of denial up until now about exactly what the long-term changes are going to be. In fact, in a recent national-security strategy, the only mention of the demographic problem was giving the security services a responsibility to stimulate fertility. (Laughter.) I’m not kidding. This—how exactly they were to do this was not specified, thank God. (Laughter.) But they don’t recognize publicly the scale of the challenge. It is an enormous gap in planning documents in exactly the same way, just to go off on a complete tangent, as China is an enormous gap. You don’t recognize the problem because it’s too huge to deal with. GUFF: We have time for one more question before we close it down. Please. Q: I’m Chris Turner. I’m in the investment business and a member here. Back to the hacking, for the avoidance of controversy I’ll ask the panel to indulge me a thought experiment. It says Russian actors were actually responsible for the actually quite unsophisticated breaking into Podesta’s email server and then the distribution of his emails at sequential periods during the election, which clearly had an effect on public opinion. If that is true, what do you guys think was the objective? I’ve heard comments that range from, A, to just so we could do it, which seems to be kind of almost adolescent vandalism, all the way to this is a key part of a very, very strategic fourth frontier of war, i.e. cyber, and we should be very, very guardful of a lot of these things happening again. GUFF: I’d ask Keir to take that. GUFF: See how much time we have. GILES: As always, it’s probably a mistake to look for one single objective that Russia might have sought to achieve by a given action. But I think we need to place this in context. First of all, there’s no doubt that at the time Russia would have preferred a Trump presidency to a Clinton presidency. That’s a given. They may have changed their minds in the light of circumstances since then, but all the signs were that, yes, Trump is the one. And this would explain the selective releasing of information, which damaged one campaign, but nothing released to damage the other. The results may have been out of proportion to all expectations, primarily because of the context of the time, which was Russia taking ever more assertive and aggressive actions, antisocial actions, against the United States, with no pushback, with no costs, no consequences, no public recognition, no deterrence, in effect. And so Russia felt that it could be more and more brazen and blatant in what it was doing, and in effect not really cover its tracks at all because there did not appear to be any down side in doing so. And we’ve seen this not just in the election hacking, but also in the lead-up to that, the repeated incidents where the previous reputation of Russian cyber operatives for being sophisticated and carrying out penetration attacks, covering their tracks, unlike the Chinese bull-in-a-china-shop approach, was progressively abandoned. The layers of deniability, to conceal who was doing this, were successfully stripped away, as they were felt to be unnecessary, until, in the end, as I say, it’s effectively blatant. So put that all together and you have a situation where there’s a complete mismatch of approach and understanding between Russia, which is effectively working unhindered, and a previous administration here which is reluctant, for whatever reason—some of them quite good reasons, others not so good—to actually point the finger at what is happening and saying we have a problem. That, of course, has completely changed now, mercifully. And so I think in the future we will see a great deal more restraint, or at least subtlety, on the part of these same Russian cyber actors. The very first step in that, of course, came just a few days before the election when Obama finally apparently said stop. That should have happened a long, long time before. GUFF: We’re out of time. Please give our panel a hand. (Applause.) The next panel begins sharply at 11:00 on foreign policy.